Parents, we need and want your involvement in our school! On Tuesday, April 23rd at 9:30AM, you're invited to attend our school's PTC Meeting in the Lounge. Please consider attending and giving us your insight into how we can make our school even better. Caldwell Middle was ranked 7th within the district for Progress Index! Caldwell Middle had 61% for Top Growth in ELA which ranked CMS 103rd out of 1300 schools!!! Caldwell Middle had 68% Top Growth in Math which ranked CMS 30th out of 1300 schools!!! 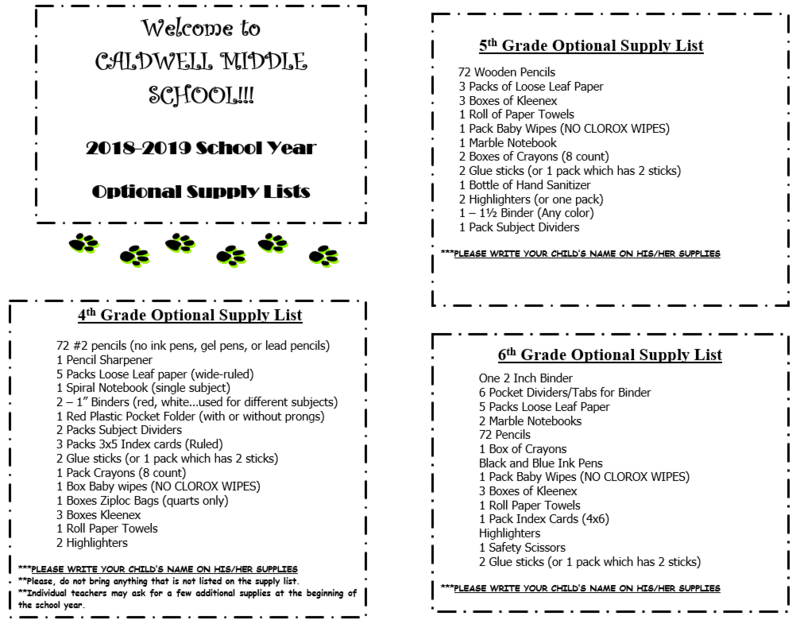 We have much to be proud of here at Caldwell Middle School. Congratulations to our faculty, students, and parents on all of their hard work. Our students are continuing to show amazing growth. Let's continue to move forward and upward! Test folders go home every Friday. Please take time to review your child's grades, sign the grade sheet, and return with your child on Mondays. Mrs. Tammy Gillies has been the secretary at CMS for 17 years. She is a vital asset to the daily functioning of our school. We can't say enough thanks to her for everything! Mrs. Tammy Guidry is an outstanding special education teacher that uses her caring and compassionate heart to teach our resource special education students. Kaci was selected as Caldwell Middle's 5th gr Student of the Year. Congratulations to her as well as all of those students that were nominated! 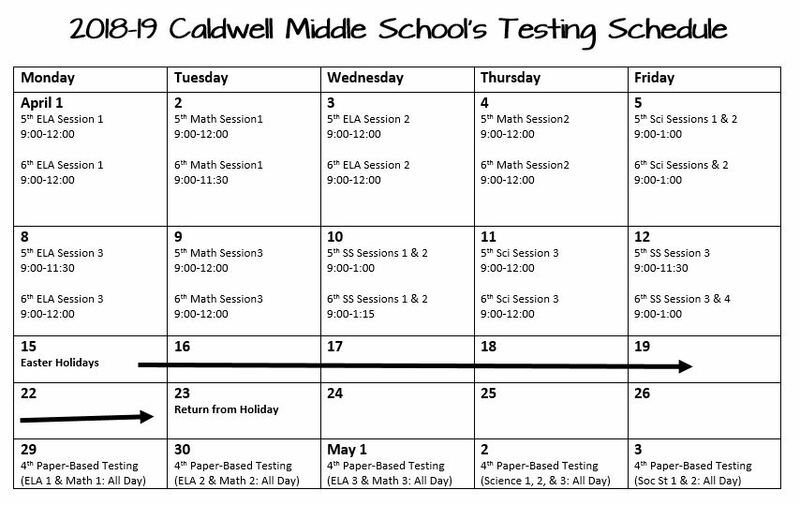 Caldwell Middle School's teachers, staff, students, parents, and community shall all work as a team to achieve academic excellence and outstanding citizenship. Caldwell Middle School students, faculty, and community will create a safe and positive school culture of high academic and behavior expectations. As a result, Caldwell will prepare students to become future leaders who are career and college ready.